Tawergha is a Libyan coastal town about 300 km west of the capital Tripoli. It used to be home to nearly 40 thousand people. 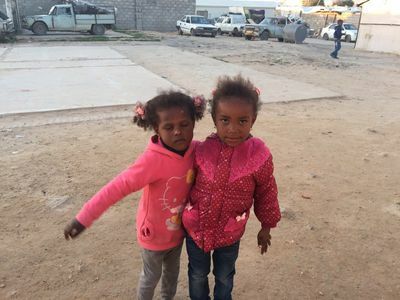 After Muammar Gaddafi was toppled, thanks to the help of NATO, the militias of nearby Misrata (40 km west of Tawergha) forced the entire population of Tawergha out and completely destroyed the town. 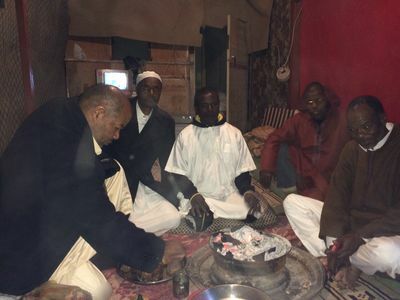 Tawerghans are Libyan Sunni Muslims just like the rest of the population however they are black. 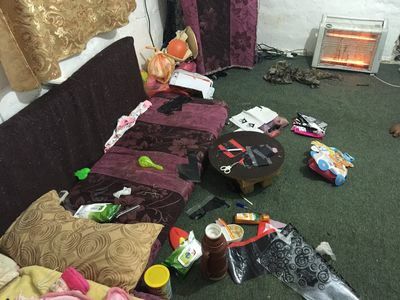 The Misrata militias accused them of fighting for the Gaddafi regime. Since 2011 not a single Tawerghan has returned home. 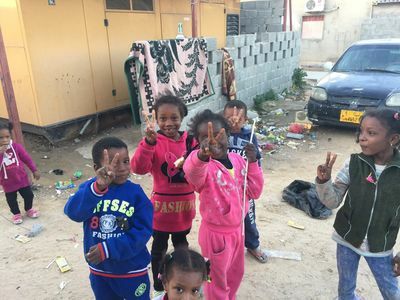 For the last five years they have been living in makeshift camps scattered around Libya. 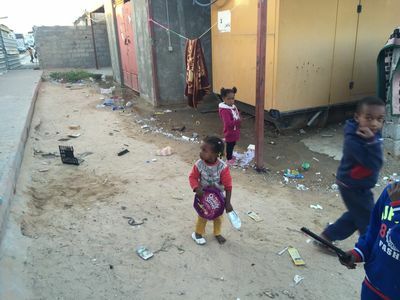 Four such camps, home to nearly 4000 people, are around Tripoli. These photos are of the airport road camp, home to more than 2000 men, women, & children. In this living room women try to produce little home decorations, from discarded material, for sale to camp visitors, to help their families. 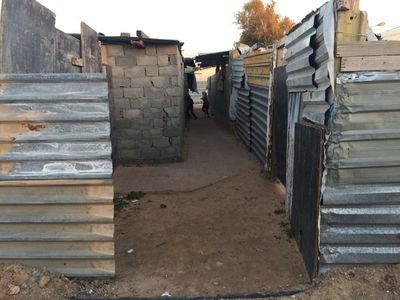 A narrow alley leading into the western part of the camp. 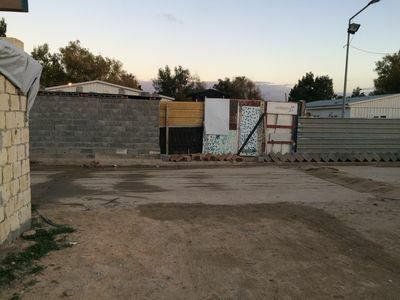 Makeshift homes are on both sides of the alley. Two school age girls pausing for the camera. They are lucky as they can attend the small newly opened make shift school instead of leaving the camp for another school. Small children playing inside the camp. 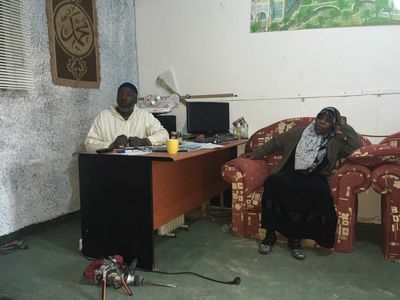 Mr. Mabruk Eswasi founder and director of AL-Saber (Patience) charity at his office with his assistant Aida. He founded the charity to keep people together and help them after they were forced to flee their homes in Tawergha. He says not a single government department since 2011 has offered us any help. 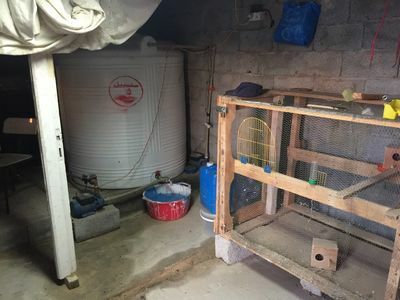 Makeshift storage room and laundry room for the camp residents. All supplies are kept here prior to distribution. Young children showing the V sign to my camera. Some appeared happy with my visit. A makeshift play ground for children, but Tripoli’s bitter cold during my visit left the place empty. 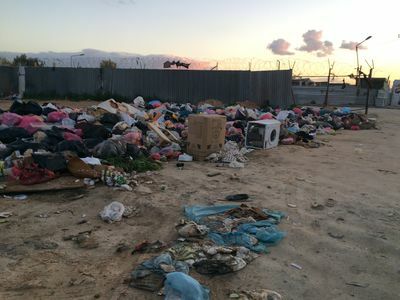 The western entrance, the main entry to the makeshift airport road camp, 10 km south of Tripoli, Libya. A group of old Twareghan men gathered around a small fire to keep warm in the only “events hall” as they call it. They receive visitors here, watch TV, and organize events for refugees such as birthday parties, weddings, and even circumcision parties. They treated me to a round of Libyan green tea and chatted about their future with little hope of any return home to Tawergha.